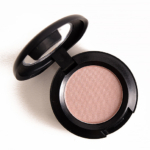 MAC Eyeshadow is an eyeshadow that retails for $17.00 and contains 0.05 oz. There have been 1435 shades released, which you can select from below or jump to these sections: Review, or Description. 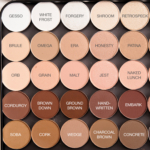 View a Shade... #Noir100 Strokes2 Dozen and One Greyhounds300 GameA Bluer BlueA Dashing LassieA Different VibeA Little FolieA Warmer WhiteAblazeAbsurdly PrettyAdlibAfter DuskAgateAgateAll Hands on DeckAll RacesAll That GlittersAll WomanAll's RosyAlmond IcingAltered StateAlumAmazonAmber LightsAmbienceAmethystAmmunitionAmourouslyAngel FlameAngelcakeAnti-EstablishmentAntiquedApple SquisheeApres-SkiAquaAquadisiacAquavertArctic GreyArenaAriaAristocratic AuraAromaticArribaArtificial EarthArtistic LicenseAshburyAt the TurntableAtlanic BlueAtlantic BlueAtlasAtomic BlushAu ContraireAvailable in PetiteAwakenAwashAztec BrickAzteck BrickAzuki BeanB-RichBaby PetalsBaby, It's Cold…BacklitBad LieutenantBagatelleBambooBamboo-zledBanafsajiBang On BlueBansheeBare MinimumBare My SoulBarefootBarkBateauBeadedBeatallicaBeautiful IrisBeautifully CharredBeauty MarkedBeauty SleepBeautyburstBeautymarkedBeehive BlueBeholdBelle AzureBelugaBewitchin'Beyond GorgeousBig AttitudeBig KahunaBig TBijouBird's Eye ViewBirds & BerriesBisqueBistroBite the BeatBitterBlack FactorBlack MagiqueBlack PearlBlack PlumBlack SlipBlack TiedBlack TulipBlack WaterBlackberryBlackboardBlanc TypeBlissfully BlueBLKBlonde MinkBloomcycleBlooming MadBlossomcherryBlu-NoirBlue AbsintheBlue BlackBlue CalmBlue CandyBlue EdgeBlue EnchantmentBlue EnvyBlue FlameBlue HorizonBlue MesaBlue NoirBlue SpillBlue SpruceBlue StormBlue VelvetBlurrBody ConsciousBold & BrazenBold as GoldBold BabeBon NuitBonfeteBonus TrackBotanicalBotanical BlueBottle GreenBouffantBough GreyBoutique BrownBowl OutBowlaramaBows & CurtseysBoycrazyBrains & BrawnBrashBravadoBrawnBrazenlyBright FutureBright MoonBright SunshineBright YellowBright-SidedBrillBronzeBrown BorderBrown DownBrown ScriptBruised PlumBruised SkyBruleBrunBuckwheatBudding BeautyBudding PassionBuff de BuffBurmese BeautyButterfudgeButterscotchButtersilkBye Bye BahamasCactus ThornCake & BiscuitsCall Me BubblesCall of the CanyonCamelCamouflageCan't Afford ThisCan't Escape MeCanary YellowCanterCaramel SundaeCarbonCarbonizedCardamomCare 4 YouCaring CoralCarnal CharmCasa BlancaCasinoCassetteCast IronCaviar DreamsCavortCelestial BlackCelestial PeakChains of LoveChalkboard DreamsChamomileCharcoal BrownCharmerCharredCheer Me OnCherry ToppedCheryl ChicChessaChillChillblueChillproofChoc-fulChoco CakeChrome YellowCinderCindersCircularityCity BeatClaire de LuneClarityClassic WhiteClimate BlueCloud BoundCloudburstCloudscapeCloveClubClub New Wave MixClueCobaltCocktail BlackCognacColour AddedColourful LifeConcreteContrastCool ComplementCool DiveCool HeatCool IncantationCopper AuraCopperfieldCopperingCopperplateCoquetteCoralCorduroyCorkCosmicCourageCourtly GreyCourtly LifeCowgirlCozy GreyCranberryCrazy CoolCreamy BisqueCreative CopperCreative WhimCrème de MielCrème de VioletCrème RoyaleCreole BeautyCrest the WaveCrimson TrystCrimsonetteCross-CulturalCrotchetCrown & SceptreCrushed CloveCrystalCrystal AvalancheCuddleCumulusCut to FitCyber GothD'BohemiaDa BlingDada IssuesDaddystarrrDaisychainDali WoodDame's DesireDamn She OliveDance in the DarkDance MixDare Ya!Dark BrewDark DevotionDark EdgeDarkroomDarkspotDash of MochaDaydreamingDazzle MeDazzlelightde MentheDe-vilDear CupcakeDeceptionDecorator PinkDeep CravingsDeep DamsonDeep FeelingsDeep FixationDeep SecretDeep ShadeDeep TruthDefianceDemi-SweetDemitasseDenim DishDesert SandDevilishly DarkDewDewdropDiamond ButterflyDiamond DoveDiana UndercoverDieselDigitDigitDisco TherapyDiscreteDivine DecadenceDivine NightDivine RuleDon't Be Koi!Don't TellDouble Feature #1 #1Double Feature #1 #2Double Feature #2 #1Double Feature #2 #2Double Feature #3 #1Double Feature #3 #2Double Feature #4 #1Double Feature #4 #2Double Feature #5 #1Double Feature #5 #2Double Feature #6 #1Double Feature #6 #2Double Feature #7 #1Double Feature #7 #2Double Feature #8 #1Double Feature #8 #2DovefeatherDrama in the SnowDrawing a BlancDrawn to DramaDreamDreammakerDreamy VDress DivineDress Me UpDrop the RobeDruzyDuabanditaDuraclear YellowDust OffDynamic Duo 1 #1Dynamic Duo 1 #2Dynamic Duo 2 #1Dynamic Duo 2 #2Dynamic Duo 3 #1Dynamic Duo 3 #2Dynamic Duo 4 #1Dynamic Duo 4 #2Early BirdEarly LawnEarly MorningEarthly DelightEarthy ScentEasy GestureEat, LoveEdge of DarkEgoElectraElectric EelElectric MandarinElectro SkyElegant FriendElementalElementary PinkEliteEmbarkEmbrace MeEnchanted BeautyEndless FrequencyEndless LoveEnviableEnvisioning PinkEquibeigeEraEspressoEt Tu, Bouquet?Evening AuraEvening LightEveryone's DarlingEvil EyeExcitable YellowExotic PurpleExpensive PinkExposedEyepoppingFa La La La LaFab & FlashyFab AccentFabulous DNAFabulous FitFadeFaintly FleurFair SexFaire MaidenFakeFall DeeplyFall in LustFalling StarFamily TreasureFan the FlamesFancy DressFarashaFashionFashion BeatFashion GroupieFashion LegendFashion's Field DayFast Colour RoseFeastFeather PinkFeeling FreshFeltFelt BlueFemme FataleFemme NoirFemme-FiFertileFestive DelightFictionFig. 1FilamentFineshineFire in Her EyesFirecrackerFirespotFirst ClassFizzy RoseFlameFlame-boyantFlashtrackFlawless FigureFlightyFlipFlipsideFlirty NumberFlock & RollFloral FantasyFloral Inc.FloridazzleFlounceFlourishingFluidFogged InFolieFool's GoldFootworkFor Your PleasureForgeryFormal BlackFortune KookieFotos Y RecuerdosFountanibleuFrankly FrostyFreakshowFree RoamingFree to BeFrench ClayFrench CuffFrench GreyFresh ApproachFresh BladeFresh CutFresh DailyFresh DaisyFresh InnocenceFreshwaterFriendlyFrillFriscoFrizzyplumFrock TalkFrogeryFrosted FizzFuchsia FuryFull FlameFull of FlavourFunGaelic GoldGagging for GiftsGallantGallerinaGameelaGarcon GrayGateauxGazette GreyGentle FumeGentle HeatGeorgia PeachGessoGet CloserGhost StoryGift GiverGilded LidsGilty MorselGingersnapGingersoftGirl Meets BoyGirlieGirlishousGive Me FireGive Me Liberty of LondonGladaboutGlam GoldGlama RayGlamour Check!Glamour LightGlareGleamGlimpse of FleshGlowing GoldGoGogh LightlyGoing BananasGold TeaseGoldbitGolden FlurryGolden GoldGolden Petals ScatteringGolden TouchGoldenrodGoldmineGoody Goody Gum DropGorgeousGorgeous GoldGrainGrand EntranceGraphic GardenGraphic StyleGraphologyGravelGravelGreen GaminGreen RoomGreen TeaGreensmokeGrey GrapeGrey HorizonGrey RangeGrey StrokeGreystoneGreystrokeGround BrownGroundcoverGuacamoleGulf StreamGutter GalHajar KarimHalftone BlueHandwrittenHanging OnHappy SongHarajuku BluHard CurrencyHard to PleaseHarpooned HeartHauntingHauxHazy DayHead Over HeelsHearts-a-FlutterHeather BellesHeather BellesHeavenly BlissHeavy, Black and PendulousHennaHepcatHer Alter ImageHer Cocoa #1Her Cocoa #2Her Cocoa #3Her Cocoa #4Her MistressHeroineHeyHickieHidden MotiveHigh ConceptHigh SpiritsHipnotiqueHocus PocusHold My GazeHoliday SecretHonestyHoney LustHopper BlueHoppin'Hot Hot HotHow RoyalHow You Thrill MeHowzatHumidHushHush-a-PlumHypnotizingI'd Give My AllI'm Into ItIceboxIdol EyesIf It Ain't BaroqueIllegal CargoImage MakerImages of RaptureIn AweIn Living PinkIn My ElementIn the GalleryIn the ShadowsIndian InkIndian MoonIndie SpiritIndigo NoirIndigogoIndiscretionInfluentialIngenue BlueInner StrengthInnuendoInsurmountableInterior LifeInto the LightIntoxicateInventive EyesIris PrintIs It the BeatIt's DesignerJaanJam SessionJasmineJauntyJealousy WakesJestJeteJewel BlueJeweltoneJG GrayJingle Ball BronzeJohnny GuitarJoin My LeagueJuicedJulepJungle MoonJuxtKabuki DollKeep on TwinklingKellyKicky BlueKidKittiesKnightKnight DivineKrispKyoto KittyLa Vida MochaLady FingersLady GreyLady JusticeLady's PranceLalaLand of DelightsLaundry DazeLaven-dah!Lavender SkyLazeLazy GreenLeafletteLeapLeisure TimeLeisuretimeLemon RushLemon TartLeopard Luxe Eyeshadow QuadLES ArtisteLi' LillyLi'LilyLicorice LaneLight RayLight StudyLightfallLightfullyLightly SugaredLightshadeLightweight BlackLilac TouchLimeLimitLimoLinear LilacLingering DuskLiquid SkyLisa's SpikesLithe SpiritLittle MinxLiving PinkLlamaLo-Density BrownLo-FiLoftyLook at the EyesLook SeeLotus PinkLotuslandLouder PleaseLounge WearLouvre at First SightLove LaceLove on the RunLove SpiceLove-BudLove's LureLover In MeLovesmokeLucky GreenLucky TomLuna LlenaLunar CycleLune NoireLusciousLustreleafLuxury CachetLyricalMabuhayMACnificent MeMACnificent Me!Magic DustMagic MoorMagical MistMagnetic FieldsMagnetizedMaid of HonorMaira’s MagicMajesticMaking Mauvey MovesMalibu BronzeMaltMamastarrr's CookieMancatcherManila PaperManorMarshMarvelMarzipanMauve OverMeadowMeadowlandMedallionMeet the FleetMelodyMelt My HeartMelton MauveMemorabiliaMemories of SpaceMetalmauveMetamorphMidasMidnight FlurryMidnight HourMidnight SnowMidnight SunMild OrangeMilled CiderMindfilesMineralMineralismMink & SableMink PinkMisfitMiss Piggy PinkMissing My BabyMocha MindedModeletteModern HeirModest ToneModestyMoleskinMont BlackMood RingMoodmakerMoodyMoodyMoon RockMoon's ReflectionMoonflowerMorning TicketMoshi! Moshi!Moss SpotMoth BrownMother's MilkMotifMover ShakerMu Mu BloomMulchMulled OverMumtazMumuMy FantasyMy Kid Could Make ThatMylarMysteryMystical MistMythicalMythologyNajm el LailNaked LightsNaked LunchNanogoldNatural BrownNatural WildernessNaturally FabulousNautical NavyNavalNearing DarkNearly NightNehruNehru (Guo Pei)Neoprene GreenNeutral PinkNew CropNew NudeNewly MintedNext to NothingNice EnergyNice FitNight ManeuversNight OwlNight WhisperNightbirdNighttrainNileNo CurfewNo Me Queda MasNobilityNoble SpiritNocturnelleNoiteNot Basic BlackNotorietyNovel TwistNude ModelNutcrackerNutrelleNylonOceaniqueOchreOchre StyleOf SummerOff the PageOh My DarlingOh My Mocha!Oh, Rocky!Oldie but GoodieOlive GrooveOmegaOmigaudOnce Upon a TimeOne-OffOoh La Café!OomphOrangeOrange TangentOrbOtakuOutreOvergrownOvernightOvertint GreenPaganPalace PedigreedPalatablePalatialPale OutPale PipaPale, PleasePalm LeavesPanda RiotPandamoniumParadiscoParadise IslandParfait AmourParisian SkiesParlor SmokeParrotParsienneParsley SagePart PeonyPasheemaPassionatePatinaPattern PinkPearl of the EarthPearled EarthPen 'n' PinkPepperPepper, PleasePeppierPerformancePerformance ArtPeridotPerkyPersuadePerverted PearlPetal WorshipPetalescentPhasePhloof!PhotorealismPick Me UpPicklePin-up PurplePinch of SagePincurlPink FreezePink Like ParisPink PapillonPink SandPink SandsPink SiennaPink SourcePink VenusPinklingPlatinum ShadowPlatonicPlayfulPlayfulPleasing to the EyePleasurepurrPlumPlum DarlingPlum DressingPlum EmberPlum GrandPlumagePlummedPoignantPoint 'n' ShootPoison PenPollenPollinatorPompous BluePoppy NoirPoppyseedPost HastePosthastePoutPower BoostedPowerful PerformancePranksterPre-PackagedPrepped for GlamourPrettyPretty JazzedPretty TwistedPrimalPrimo DonnaPrincess of SoulPrintPrintempsPrismiquePrivate ViewingPrize BloomPrizedProse and FancyPrussianPsychePure EnergyPurple HazePurple ShowerPushup PinkPuttyQuarryQueen PatrickQueen's JewelQuicktone TanQuiet TimeQuiet TypeQuintessentialQuite SpoiledRadial PinkRainy SeasonRaniRare SpecimenRated RRaven EyedRaven-EyedRaving MadReal DramaReal FantasyRed AlertRed BrickRed Tone BrownRedcocoRelaxingRemixologyRemotely GreyRestlessRestless RoseRetrospeckRetrospeck #2RevelryRibbon RealnessRicepaperRich & EarthyRich FleshRich SymbolRio de RosaRiotRising PassionsRite of SpringRiviera RoseRobin's EggRocket GirlRolled GoldRomance MeRomanticoRomantiqueRompRompingRon Ron RunRondelleRoseRose BlancRose CloudRose PotionRosy OutlookRoustaboutRoyal TourRoyal WooRoyaleRuddyRuleRummyRunway WorthyRussian BlueRusticRustiqueRyeSabina SangreSableSable RicheSable WrapSablecoatedSaddleSaffronSahara DustSamoa SilkSample SizedSand & SunSand and ClaySandstoneSandy CrotchSanta's StilettosSassy GrassSatellite DreamsSatin TaupeSatin Taupe #2SatisfySaturnalSavantSax AppealSay, Yeah!ScantScarabSceneScene 1SchemeSea MythSea-CadetSeasonal SpiritSee the StarsSeedlingSeeds of LoveSeedy PearlSelenaSelf-ServeSemi-Tone GreigeSense of DoubtSensibilitySensualizeSerenadeSet to DanceSex & DiscoSex & the OysterSexy EyesSexy PB&JShaded MintShadowy LadyShady SantaShaleSharpShe's a MachineShe's a ModelShe's GravyShell PeachShhh, Don’t TellShimmermossShock FactorShock-a-holicShockwaveShop & DropShore LeaveShort ShortsShowgirlShowstopperShroomSigned, SealedSillySilly GooseSilver CharmSilver FogSilver GullSilver RingSilverthornSilverwearSketchSketchbookSkintone 1Skintone 2Skintone 2Sky BlueSlateSlatedSleepySlip PinkSlow as You GlowSmoke & DiamondsSmoke & MirrorsSmoke RingSmoked Cocoa #1Smoked Cocoa #2Smoked Cocoa #3Smoked Cocoa #4SmokingSmudged VioletSmutSnappySnappy StyleSnow PandaSnowballSobaSocial ClimberSocialiteSoft BrownSoft FlowerSoft ForceSoft HeartSoftly Rockin'Solar WhiteSoleil, So LovelySootSoot #2SorcerySoulsongSour LemonSparkle Neely, SparkleSpell No. 9SpellcasterSpellcasterSpice BarSpice DynastySpiced ChocolateSpinning TransformationSpoiled RichSpoonful of SugarSpot ColourSpring MoonSpring UpSpringtime SkipperSproutStar By NightStar MythStar StuddedStar VioletStarry EyedStarry NightStars 'n' RocketsStately BlackStatuesqueStay SultrySteamySteelSteepStencilStimulated CopperStocking StufferStompStonyStormwatchStormy SunsetStraight HedgeStratusStraw HarvestStrike A PoseStrike While HauteStroke of MidnightStructured SatinStudied BrownStyle PredatorStyle SnobStylin'Suave IntentionsSub-GreenSublimed GreenSubmarineSubtly ElegantSugah StickSugar BlueSugar PlumSugar SnackSugaredSugarlilySugarshotSugarwhiteSultress EyesSummer NeutralSummer SunSummerweightSumptuousSumptuous OliveSun BlondeSun SpeckSun TweakedSun-ShySun, Tan and RepeatSun's Out, Buns OutSunday BestSunny GirlSunnyside UpSunplosionSunseedSunset B.SunstonedSupah-PinkSuperior SoundSurf USASurprint SepiaSurrealSushi FlowerSushi GreenSuspicionSuspiciously SweetSwan LakeSweet & PunchySweet AllureSweet ChestnutSweet DreamsSweet EyesSweet GreenSweet JoySweet LustSweet SovereignSweet VapoursSweeten UpSwell BabySwelterSwimimngSwimmingSwing OutSwingingSwishSwiss ChocolateSyntheseyesTabbyTailoredTake WingTalent PoolTancentricTaupe NoteTaupelessTeal AppealTease 'n TealTease MeTemperature RisingTemperleyTemptingTenderlyTendermetalTendersmokeTerr a TerreTete-a-TintTextureThat SomebodyThe Right SmokeThe Wrong ManThemeThree Ring YellowThunderThunderboltTickety BooTicklesTill DaybreakTiltTime & SpaceTissue WeightTitillateTo the BallTokyo DrifterTone: GreyToo DollyToo-dle-ooTop HatTop KnotTotal BlissTraxTree TopperTrendTriennial WaveTrogTrophy PinkTrousseauTruceTurquaticTwelve ChimesTwilleryTwinksTwirl TwirlTypographicUnbasic WhiteUninterruptedUnorthodoxUnreally BlueUnsquareUnwindUp At DawnUp at DawnUp-doUS Dance RemixVacation Speed ZoneVaingloriousValetValiantVanillaVanilla ExtractVapourVellumVelourVelvet LadyVelvet MossVenusVery VioletVexVibrant GrapeVicunaVideo EmotionsVile VioletViolet DearViolet ImpactViolet TranceViolet VowVIPVivacious Vacuum Cleaner BagVivahVulnerableWaftWait Till DarkWaking DawnWalking HeartbeatsWarm & SmokyWarm BreezeWarm ChillWarm Me, GirlWarm SuedeWarming TrendWashoutWaternymphWedgeWeirdly WonderfulWell Past MidnightWell Put TogetherWell SpicedWell-BehavedWell-FinishedWell-PlumedWhat's the PointilismWhen in RioWhenever You CallWhirlingWhistleWhite FrostWhite RabbitWhite TieWhite WheatWide-eyed WonderWild by NatureWild HorsesWild WisteriaWinkleWinter TwigWinterludeWinterscapeWinterskyWishfulWisteriaWith A TwistWith FlairWoman of MeansWonder FullWondergrassWoodsmokeWoodwinkedWorthyYesssYogurtYou My EverythingYou're BluffingYou're FreshZandraZealZinc BarZinc BlueZingyZip Me UpZonk Bleu! 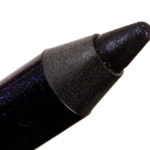 Colored Graphic Liner - made wearable. By Ana Maria 2 months ago. 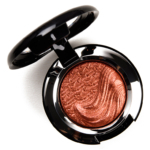 Rule is one of the best quality MAC Matte eyeshadow I have tried, but I almost hate the color; the warm vivid orange simply doesn't suit me and when I use rule I feel I look very tired / sick. 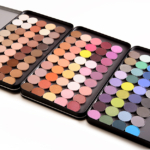 Otherwise, it's very pigmented and easy to pick with any type of brush, with minimal kick-back / fallout. 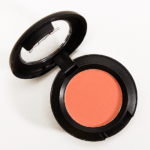 It blends wonderfully and it's easy to work it; it can also be build up with a stiffer brush. But the color payoff is amazing, it's nearly opaque from the first layer; building upon just intensifies the color to a bright bold orange. 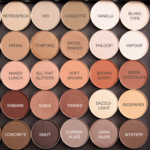 To make use of it, I sometimes use Rule in the crease, than build a look with darker browns that suit me; I feel that having Rule as a base makes every other eyeshadow blend/apply better and last long. 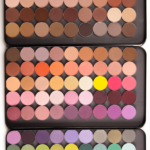 Because color is subjective (some might look amazing with orange eyeshadow), it's still a 5-star for me. 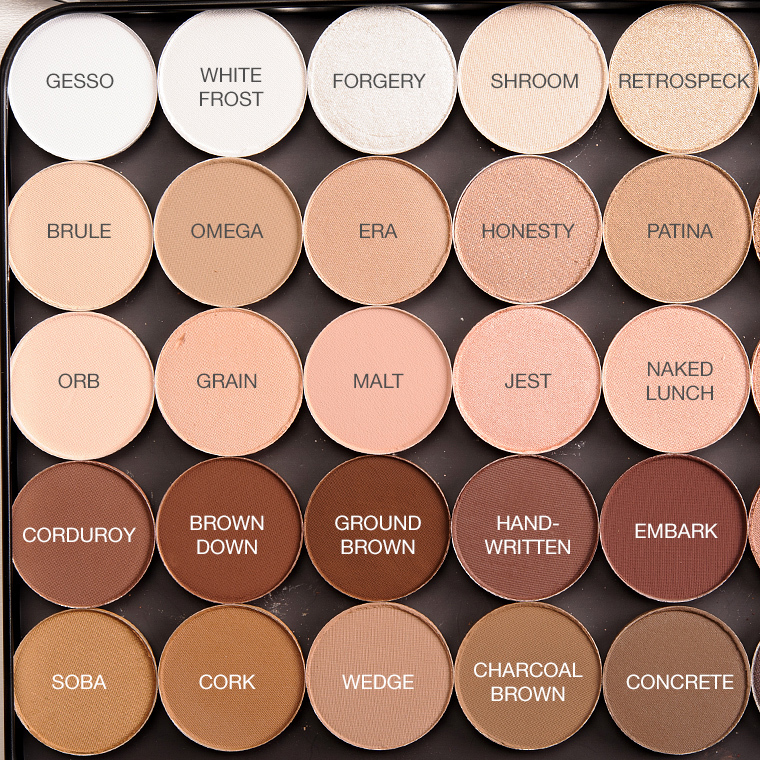 I wish other MAC Matte eyeshadows would perform this well. By Ana Maria 4 months ago. 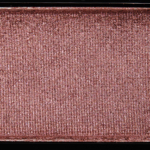 Omega is a muted but highly pigmented matte eyeshadow, but I don't agree with the color description the MAC website and Temptalia provide (or at least not on me). For me Omega is more like a grey-taupe, very cool toned, with nothing beige or brown in it. 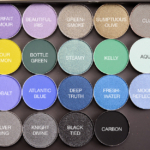 MAC Omega is not as stiff as other MAC eyeshadows; it has a little more kickback, but the fallout isn't bad at all. 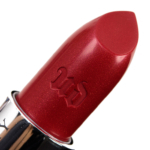 I agree that the formula in Omega is soft, smooth and blendable (very easy to work with). 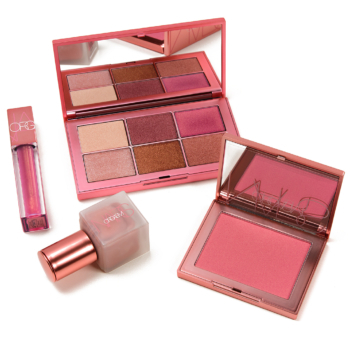 The color is quite pigmented, but buildable. Depending on the application technique and brushed used, I can either get a wash of color or a medium grey wash of color. 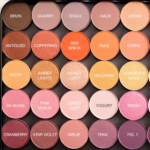 I'm NC20-25 and Omega it's a great cool toned transition or deepening shade when applied with a fluffy brush. Packed on the lid, I can get a beautiful cool toned one-color grey look, quite grungy without being too strong. By Reka 6 months ago. This is a matte cobalt blue that is very stiff in the pan. Next to nothing comes off on fingers but it does scrape off with anything abrasive like fabric. It's part of the Pandamonium Quad. 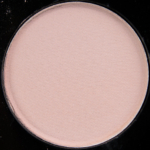 This is a pale yellow/cream colored frost that is very nicely pigmented. It's part of the Pandamonium Quad. By Ana Maria 6 months ago. MAC Deep Damson is a pretty warm burgundy shade, with enough hints of brown to not make me look sick (usually eyeshadows with red in them make me look sick). 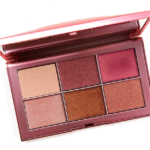 It's a nice color that I can use all over the lid (and diffused in the crease) as a single-color look, but also to deepen the crease or the outer-v for looks with warm browns, warm mauves (like MAC Haux) or pinks. 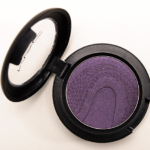 Most MAC Matte eyeshadows are stiff in the pan, but the Deep Damson I have is even stiffer. 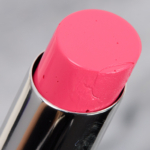 If you don't use it with the `right` brush, it applies patchy and hardly gives any pigmentation. 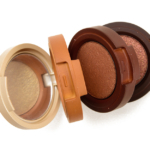 If I use something like a eye shader brush (like MAC 242), I barely get product on the brush. I like it applied with fluffier brushes (like MAC 217, 224) even when I pack it on the lid; I like that this kind of eyeshadow formula gives me a lot of space to play with the pigmentation. 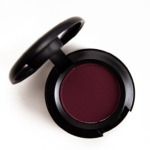 Packed on the lid, the shadow looks like a beautiful deep wine/burgundy; diffused it looks more like a mauve with hints of wine. The eyeshadow is so stiff that it doesn't have any fallout. 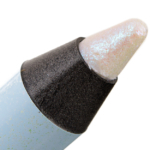 I always use eyeshadow primer set with powder, never had issue with this eyeshadow creasing. By Ana Maria 7 months ago. 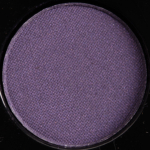 MAC Deep Truth is a nice jewel toned blue in the pan, but on my eyes it looks like a blue with shifts of indigo. It's definitely a cool blue and I find it works with my dark brown eyes. It has some shimmer/frost in the pan, but once applied it almost looks matte (but not flat). I wouldn't personally call it a `dark-blue`... maybe `medium-blue`. In the pan the eyeshadow is quite stiff, but the product can be picked-up nicely with a good brush; it works good with both flat brushes (for precise application) and fluffy brushes (for blending). The opacity is not great with first applications, but it can be built up easily (especially with a flat brush). There's some fall-out, but it's minimal. 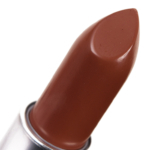 For a bold opaque application a darker shade underneath Deep Truth would really help. 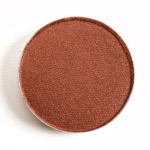 It's not the easiest eyeshadow to blend, but it doesn't look patchy. By Ana Maria 11 months ago. 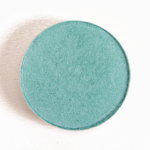 MAC Humid is an eyeshadow that looks like a jewel toned green in the pan, but translates like a mossy/military green on the eyes. 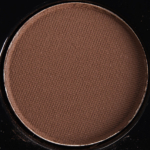 The warmness of the green makes this color look wonderful with a warm toned dark brown in the crease, complimenting my brown eyes. 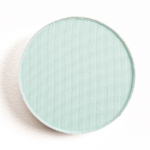 It's a beautiful green eyeshadow (with some flaws) that look great on the lid and in the crease as well. 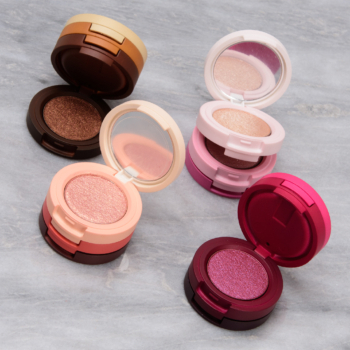 It applies smoothly on the lid and blends well with other eyeshadows. 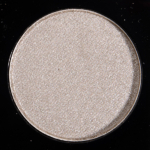 As most frost finish MAC eyeshadows has is has a little bit of shimmer, but Humid is minimally shiny; sometimes it can almost appear matte on my eyes. Humid is quite buildable and versatile, allowing me to obtain a variety of looks. 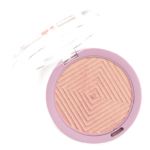 With a fluffy brush and/or light application, it applies very sheer. 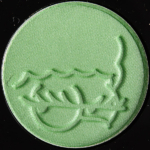 With a stiff brush I can build the color to a darker green, but never to full opacity. 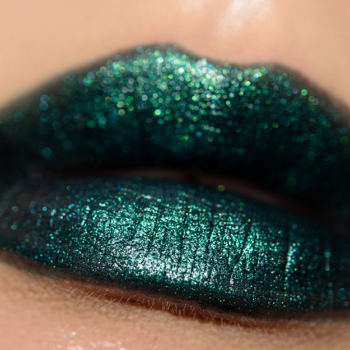 I only can get it as green as in the pan if I apply it over a darker base (green/black eye pencil smudged all over the lid or a dark matte brown). 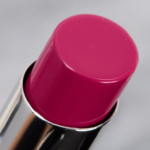 I didn't find Humid very pigmented or `intense` (as MAC states). My biggest issues with Humid is that it creases and it has some fallout even with stiffer brushes. 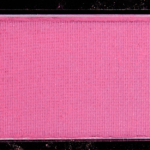 I own other MAC Frost eyeshadows and this is the only color that has these issues. 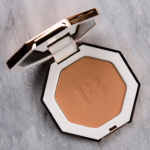 But it's the best green for me and due to it's versatility I would consider re-purchasing it (I have a minimalist approach to make-up purchases). By Rachel 1 year ago. totally looks better in the pan than translates to the skin. 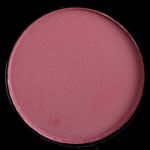 in the pan, the color looks beautiful and highly pigmented, but in reality, it is much more sheer. 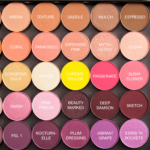 you can build the color on your lid, but it never gets to the pan color. 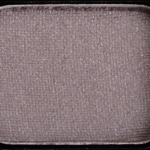 i used to use this as a transition shade for a dramatic (and sometimes harsh) black smokey eye, with the purple as the smoke. because it was sheer, it blended out nicely, but again not much color pay off. over time, this color would get the dreaded 'bumps' and sometimes you will have to scrape that layer off. also, does not foil well. By Rebecca 1 year ago. 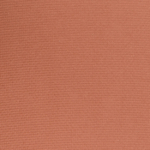 Coppering is a lovely copper shade that pulls slightly peachy on me. Applied dry it is smooth and buildable but has a lovely foil effect when applied wet. Lasts for 6+ hours when used with an eyeshadow primer and does not crease. Has a little fallout but nothing unsolvable. By RoseLane03 1 year ago. I purchased five mattes (swiss chocolate, quarry, fig 1, omega, and wedge) they're all extremely stiff, hard pressed, very difficult to get any pigment, have to jam my brush in the pan to get anything to show up. I ordered straight from the MAC site so I know they were authentic. Not the same quality as MAC I purchased years ago (cork, follie, arena) Will not ever purchase again. By Taylor 1 year ago. Very disappointed in this shadow. Product is hard to apply. I have to dig with my brush to get any pigment. By Reka 2 years ago. 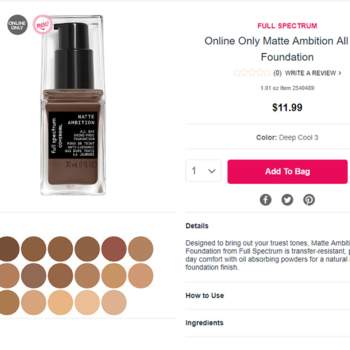 This is a lovely color, and I'm sure it was very good at one point, but just as a warning, the version of this on allcosmeticswholesale as of Jun 2017 isn't very good. I'm sure it's authentic, just old. It's stiff in the pan and lacking pigment. By Seraphine 2 years ago. What a beautiful and useful color! 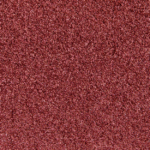 I avoided this one in the past because I couldn't see how this frosted color could work on me. 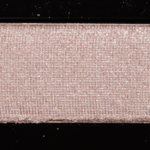 I don't normally like using shimmery colors in my crease, but I finally broke down and bought it based on reviews. I'm so glad I did! 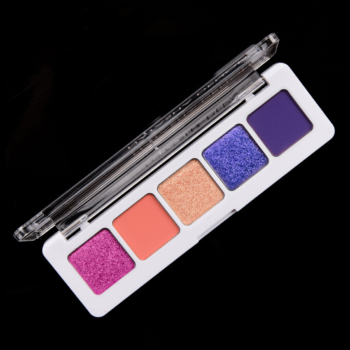 This looks absolutely gorgeous as a crease color. 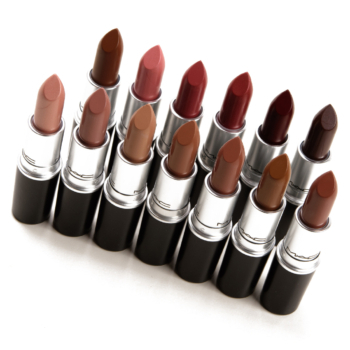 It is extremely pigmented with excellent color payoff. 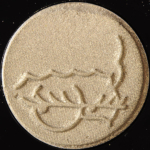 It's frosted, but in a more subtle way. The color stayed on perfectly all day (note: I always use a primer under all eyeshadow). 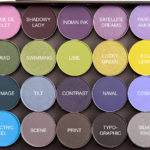 I own a lot of eyeshadows, and Satin Taupe is now my favorite. This is my most-used MAC eyeshadow, which I use as a transition color. I'm surprised by the low rating. 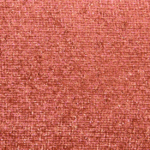 I apply this color into my crease, then build around it. By Lara 2 years ago. 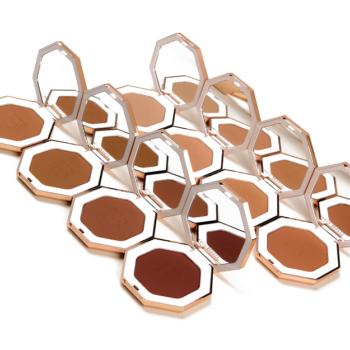 I probably got a faulty product, since so many other people love theirs, however my Soft Brown develops hard pan after every use, making it a struggle to get pigmentation from it. 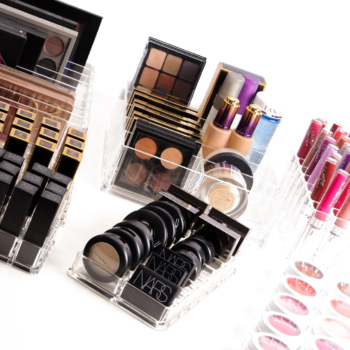 It doesn't even matter whether I go in with synthetic or natural brushes. By Marie-Claude 2 years ago. Perfect for my green eye ? By Marietta 3 years ago. By Pedro 3 years ago. Really pretty for transitioning a dark eye. So pretty! But it sort of fades thoughout the day. By Linda 3 years ago. I was looking for a dupe for Urban Decay Naked 3's Strange - one of my favorite light, matte shadows. Blanc Type is a perfect dupe color-wise, but comes off even more pigmented and doesn't blend out as sheerly as Strange does. If Blanc Type was a bit creamier in texture or layered a little better on top of lid colors I'd give it a five, but overall very happy to find a "better" Strange in a single ES.